Elementary age kids, up to 11 yrs old. Along with bright fun colors and all your favorite Toy Story 3 characters, this maze contains obstacles, tunnels and a slide. Everything you need to keep an elementary age child busy all day! 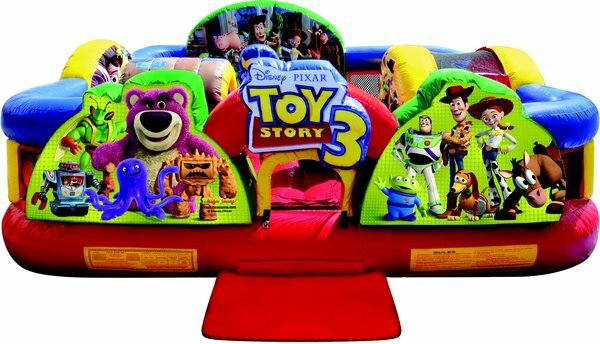 * Please call us for any questions on our moonwalk toystory 3 combo 14x16x6 foot tall rentals in Ft. Wayne IN, Warsaw, Syracuse, Auburn, South Bend, Indianapolis IN.